There’s a lot of debate about which is better: high-temperature dabs or low-temperature dabs. Here are the pros and cons of each style. 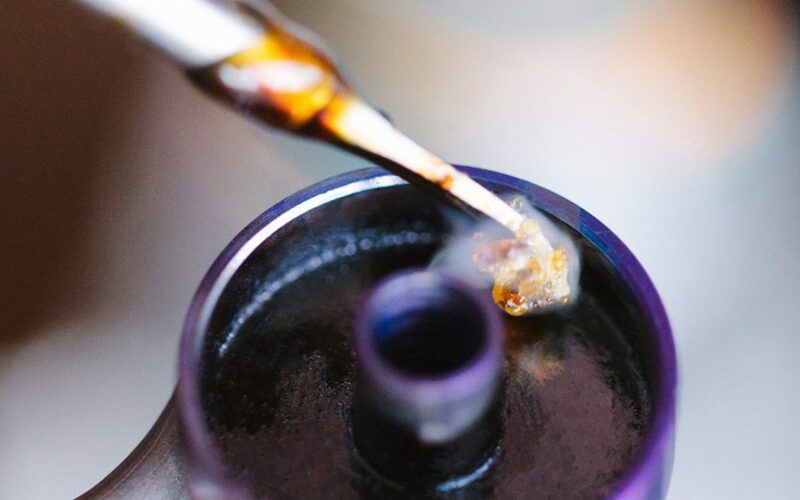 There’s a lot of debate about which is better: high-temperature dabs vs low-temperature dabs. For the most part, it’s a matter of personal preference. But, each style does have its fair share of pros and cons. Here’s the difference between the two methods. For low-temperature dab, the nail is heated between 500 and 600°F (260 – 315.5°C). If you’re not using an e-nail, a good rule of thumb is to take away the heat once the nail begins to get red, then wait about 10 seconds for it to cool before taking your dab. The boiling points for most terpenes (flavor molecules) found in marijuana loosely range from 310 to 400°F (154 – 204.4°C). So, sticking to a lower temperature gives you a full-bodied vapor without burning off as many delicate terpenes. Less risk of burning your wax. Carb caps. To prevent any of your oil from being wasted, you’ll have to invest in a carb cap to retain the heat of the nail throughout the dabbing process. Otherwise, it will just pool inside the nail. Some people think the high is a little milder than a high-temp dab. With a high-temp dab, the thermometer is typically set to around 1000°F (538°C). A lot of people really prefer the experience of a super hot dab. Overall, they’re more convenient and less messy, as much of the oil burns up pretty immediately after it touches the extremely hot nail. Some dabbers like Joe from CustomGrow420 (video below) find that the high from ultra hot dabs is more intense, making it more enjoyable. Can feel a bit of a rush. You’re able to get all of the wax to melt very quickly, regardless of its consistency. No carb cap– less risk of wasting oil because it evaporates extremely quickly. Burn off a lot of the THC, CBD, and terpenes. More likely to burn or scorch your dab, making the experience unpleasant. Harsh. Super hot dabs can hurt on their way down. For more info on the advantages and disadvantages of each dabbing style, be sure to watch this awesome video! What’s your preference? High-temp or low-temp? Tell us what you think on social media or in the comments section below!